On the 25th and 26th August 2016 Justin Miles introduced ‘Teach The World’ to audiences at the Edinburgh International Book Festival. Justin was at the world famous book festival to speak about his two books, the ‘Ultimate Explorers Guide For Kids’ and the ‘Ultimate Mapping Guide For Kids’ before school and public audiences. 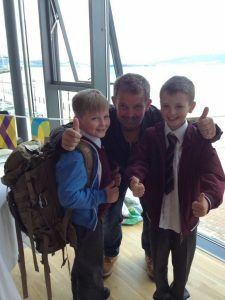 The first session was help at the main Book Festival event in Charlotte Square, Edinburgh before he travelled across to the opposite coast to participate in the EIBF outreach programme, ‘Booked!’. When talking about his working and projects, in simple but shocking terms with the support of hard-hitting facts and statistics, Justin introduced children and adults alike to the ‘global education crisis’ and how his adventures would be used as a part of the ‘Teach The World’ initiative. 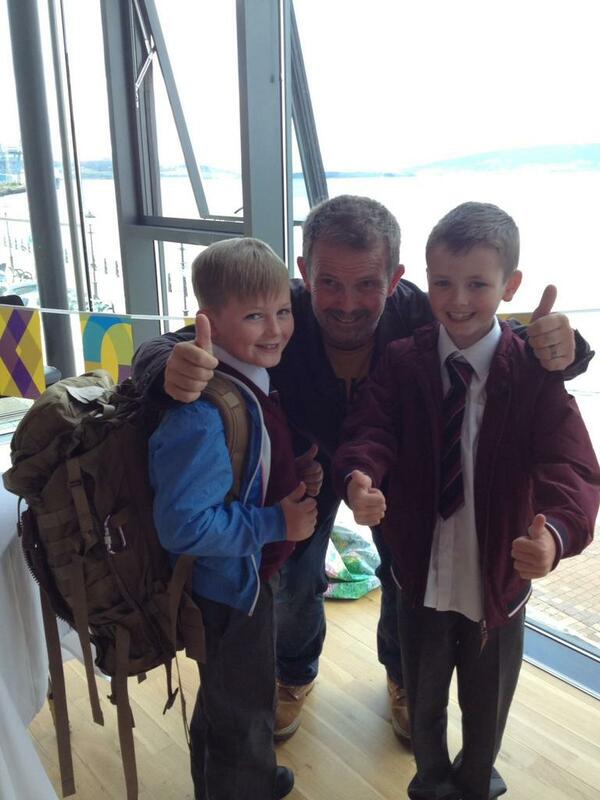 Justin with his KSF rucksack and two children participating in the EIBF ‘Booked!’ initiative.